After the latest bombardment of snow storms, many households throughout the Omaha area had to deal with ice damming. 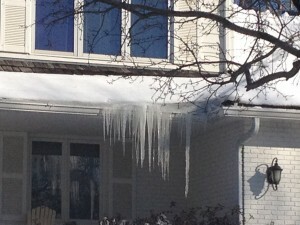 Those nasty icicles, and the inches of snow that create them, can seriously challenge your roofing installation. After the snow melts, it is important to inspect your Omaha roof for damage. Often times, these storms shed light on poorly installed skylights. After the melt, check the skylights for signs of leaking. Improper insulation, bad installation, as well as other factors, play a role in leaking and should be addressed immediately. It is also important to inspect your roofing for warping. Warping indicates that the wood underneath the shingles may be compromised, creating a serious issue. Peeling, or bubbling, shingles are another sign that your roofing need attention. If you think your roof has some damage, call your insurance provider to have the roof inspected. Total Construction Services in Omaha can inspect your roof as well. Our HAAG certified inspectors are a trusted source for insurance agents. We can diagnosis damage and provide a course of action to help protect your home. It caused millions of dollars in damage. It leveled nearly half a town’s homes and businesses—including a whole school and a church—and caused grief and suffering for many Nebraskans. It even led federal warning coordination meteorologist, Greg Carbin, to coin the phrase “Nebraska Nasty”. 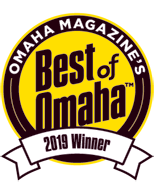 According to the Omaha World-Herald, the June weather of 2014—with its wildly destructive hailstorms and tornadoes—placed our state on the list of the nation’s most remarkable weather of 2014. It’s a distinction that is as tragic as it is unexaggerated. After all, four EF4 tornadoes occurred in Nebraska in one day. Much of the town of Pilger, NE, was leveled by tornadoes, while other towns, such as Blair, were pummeled by softball-sized hailstones being hurled by winds up to 90 mph. It’s a disaster still being felt by many nearly eight months later. But thankfully, progress is returning. A growing number of Pilger’s 73 homes that were destroyed are now being rebuilt, and Blair’s once 550 building permits have skyrocketed to nearly 5,000. For towns like Pilger and Blair, top-level contractors are more necessary than ever. And that’s why Total Construction is once again on the scene, working closely with insurance companies and homeowners alike to provide solutions and the peace of mind that comes from experience. When storms hit, we act. Total Construction Services carries a strong history of expert repair amidst the worst storm damages suffered by Nebraska homeowners. Just as we’ve been widely present in the wake of last year’s terrible streak of storms, we’re also equipped for whatever 2015 can deliver—and ready to combat the Midwest’s unruly storms with decades of hardened Nebraska experience. With an In-House Insurance Claims Center, Total Construction works with adjustors from several insurance companies year-round. We can expertly address every need and concern—down to the slightest detail—with a strong local knowledge of the best materials and best practices to do repairs right the first time. Our job is to make the process seamless between adjustor and homeowner, leaving both parties satisfied. Nobody wants disaster to strike. But when it does, we’re here to help with our comprehensive approach to service that has twice earned us the Better Business Bureau Integrity Award. We can help you restore the calm after the storm.